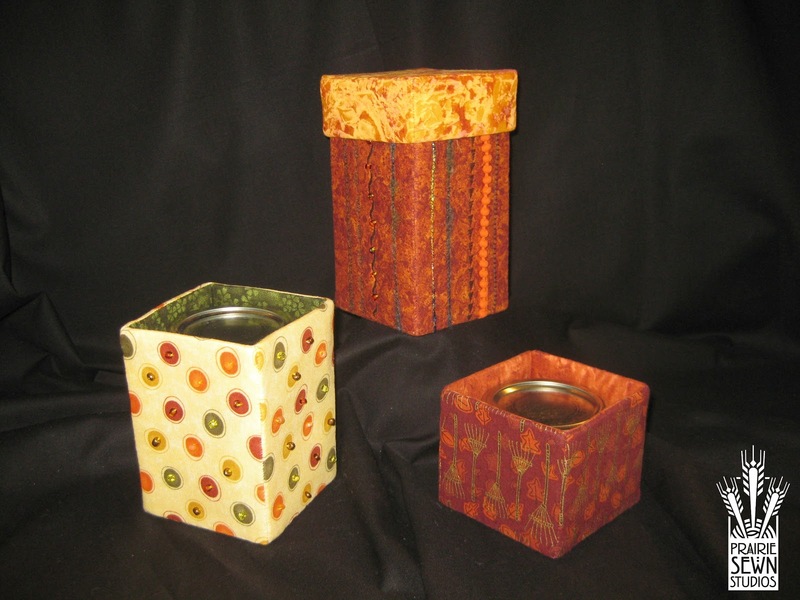 Today we’re working on a container that can either be used as a vase using a mason jar, or a taller gift box. This is the perfect gift wrapping if you’re giving one of those “in-a-jar” presents that are popular. Fill your jar with the dry ingredients for hot chocolate, or a bean soup and then “wrap” it in this box for giving! To make a Mason Jar Vase you’ll need a copy of Contain It! English Paper-Pieced Accessories for some of the templates and the full directions. Use the code “holiday” to purchase the book with a 50% discount. Purchase before December 31 to also receive six downloadable PDF patterns and templates to make additional containers using our special English paper-piecing style technique. 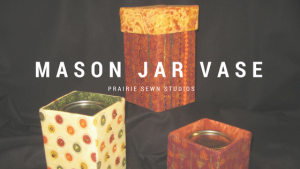 Mason or quilted jelly jar. We provide the templates for three different heights, so you can choose the size jar that works for you. In addition to using some of the templates from Contain It! to make this gift box, the book will also serve as the full set of instructions for prepping the materials and constructing the Mason Jar vase and optional lid. Here is the basic outline of the steps, but be sure to also read the instructions for the cube starting on page 25, as this Mason Jar Vase and Lid can be assembled following the same steps. 1.Gather the supplies listed above and review the basic container instructions in Contain It! starting on page 9. 2. Make your templates and cut the following pieces. As always, be sure to label everything! 3. Using Templates 123, 124, 125, 126, 127 and 128 that you printed, create your template and cut the following pieces. Remember to use the 2″ square printed on Templates to ensure it printed correctly. 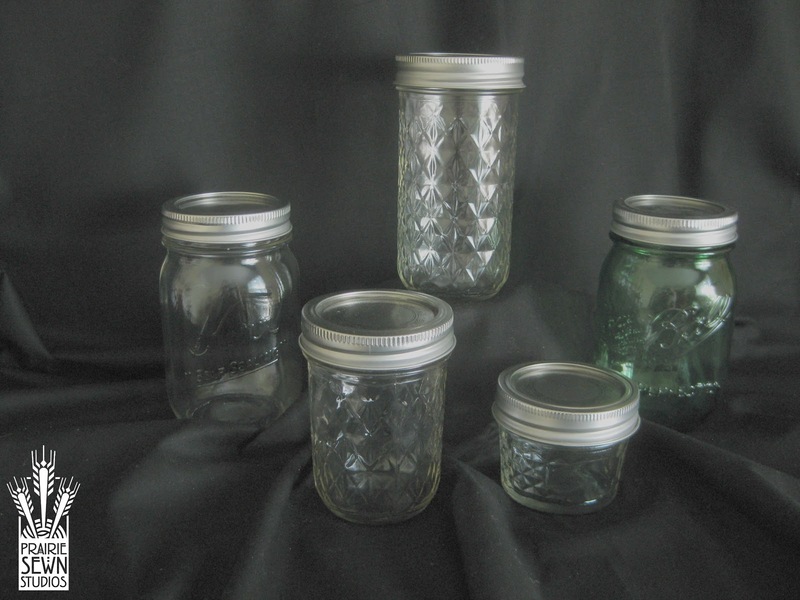 The sides of the Quilted Jelly Jars are given on the same template, denoted by Short, Medium, or Tall. Make the Pattern Piece by tracing the template to the appropriate height. 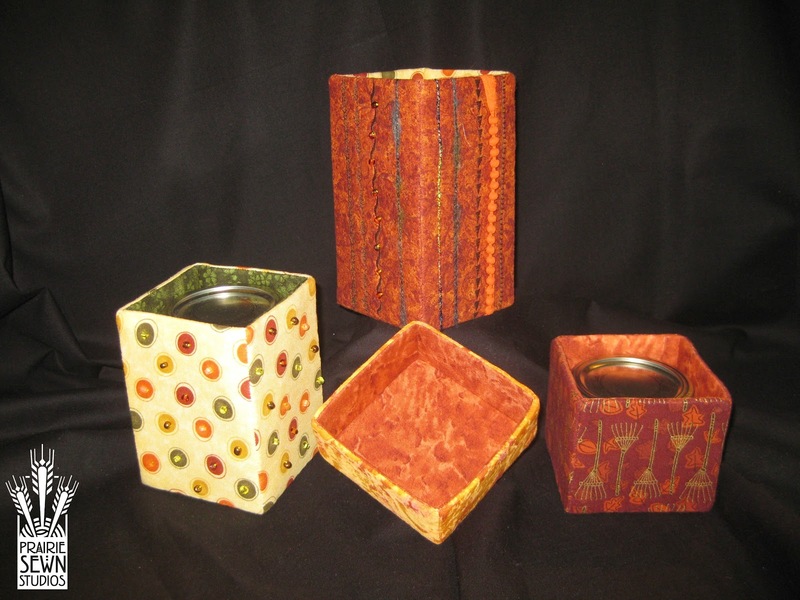 The Quilted Jelly Jar Lid Container will fit all of the above containers. Remember that if you want a lid for your vase (as seen in the middle vase below), you’ll need to use those templates to make a separate container that fits over the Mason Jar Vase. Review the detailed directions on pages 9-16 with any questions. 5. Decide what you’ll do with your new gift box! Keep it for yourself? Or give it as a hostess gift when you attend Thanksgiving or another holiday party? Maybe you could fill the jar up with holiday candy, add the vase lid and give it as a present! Either way, be sure to post your pictures on the Prairie Sewn Studios Facebook Page or email them to us at contact@PrairieSewnStudios.com.